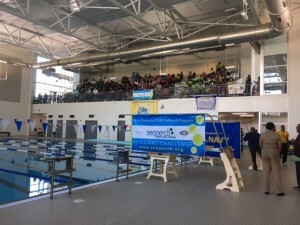 Two teams from the DeKalb County School District will advance to a national underwater robotics competition on Saturday, May 20, 2017, at Georgia Tech University in Atlanta. The Aquabots of Sagamore Hills Elementary School, and the Lamborghini team of Stone Mountain Middle School will advance after competing against other DeKalb County School District (DCSD) middle and high school students on April 15. 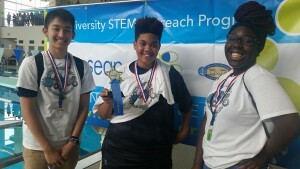 The teams were tasked with building robots that can perform tasks underwater. SeaPerch is an innovative underwater robotics program that equips teachers and students with the resources they need to build an underwater robot, or Remotely Operated Vehicle (ROV), in an in-school or out-of-school setting. Students build and test a ROV from a kit comprised of low-cost, easily accessible parts, following a curriculum that teaches basic engineering and science concepts with a marine engineering theme. The program tests Science, Technology, Engineering, and Mathematics (STEM) skills. This effort supports DCSD’s growing commitment to STEM, including 20 schools that have earned STEM certification so far during the 2016-2017 school year.